There are many reasons to take a defensive driving Texas online course. However most people do so to get a lower insurance premium or to get out of a ticket. These courses must be at least six hours in length. That's a great deal of time to commit to outside of the home, but with an online program, you can easily complete it, at your own pace. You can even complete it over a three month period if you would like to. Permission must be sought from the court prior to taking the course. In many cases, you have until the appearance date listed on your ticket to make the request for this course. It is possible to do so both in person and by mail. Follow the instructions on your ticket, including where to make the request. Gather the information and documentation you need to take with you to court. This will include: A copy of your insurance policy, proof of your valid state-issued driver's license, and an admission of guilt or a statement that you've signed saying you do not contest the ticket. You'll also have to pay a fee, which varies by state. Choose a course. A quick search for defensive driving online Texas can help you to locate locations to take your course. It is essential to ensure that the state of Texas has approved the company's program to meet the requirements. The course must be overseen by the Texas Education Agency. Any course that says it doesn't require six hours is providing misleading information. Complete your course. Once you finish the course, it will provide you with a Certificate of Completion. You'll need to send this to the Texas County Clerk's office. You'll have a total of 90 days (from the time you receive permission to take it until you turn in the completion certificate) to finish the process. Contact your insurance carrier and find out if they accept this type of course as an opportunity to lower your insurance premium. Your agent can provide you with that information. 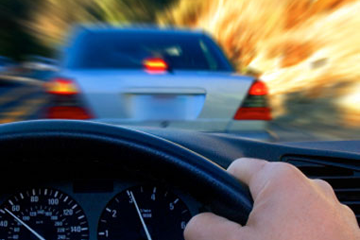 Find the course you wish to complete by searching for a defensive driving Texas online course. Choose one from the state that is accredited by the Texas Education Agency. Again, these courses must be at least six hours in length. If it is not at least that length, you may not be able to receive credit for completing the course. Complete the course at your own pace. Generally, you have as much time as you would like to complete the course, unless your agent tells you otherwise. Once you've completed it, you can then turn in the Certificate of Completion to your insurance company. Once received, they should offer a discount to you. Do You Have a Ticket From Out of State? In some situations, you may be able to get your ticket or fine reduced even if you do not like in the state of Texas. You may be allowed to take this type of course to dismiss the ticket, but that decisions is up to the judge. You will need to make the request through the same process above and determine if the process is an option for your case.